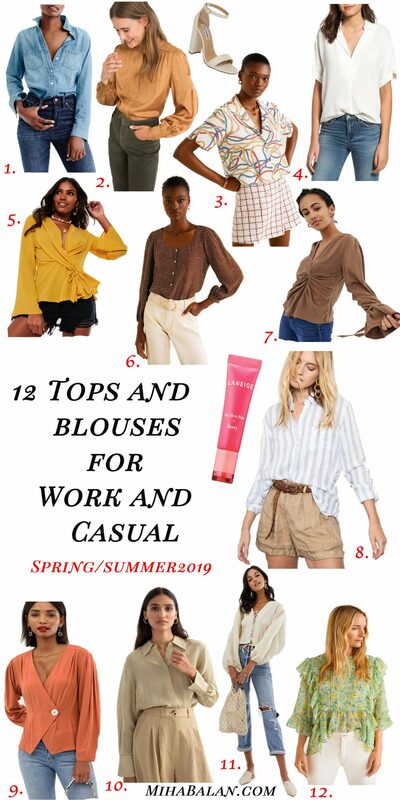 Let’s say goodbye to heavy layers of chunky knit sweaters and start welcoming the very cute tops and blouses into your new spring and summer outfits. I guess I am a bit late to the party to announce that spring has sprung. In fact, some people are already experiences summer weather, lucky you! So jealous right now! I don’t know about you but as soon as the sun made his appearance through my window, I was the first one to pack my winter wardrobe away in my basement and grab my pretty little spring tops and blouses and start planning new outfits. Was I cold a couple of times without a sweater? Yes, I was but I am hoping that the weather wherever you guys are, is much better than Scandinavian spring, which jumps straight to summer, in August haha. Speaking about tops and blouses, as I have a huge collection of different white shirts that almost look the same, but are not, I noticed that my wardrobe’s palette involves around white, beige and brown, which is great, don’t get me wrong. But sometimes it’s nice to add a little color, don’t you think? So, I started with this beautiful green top HERE, which I find so elegant and works nicely with jeans in either light colors or white. You will also be able to see more photos of this top on my Instagram account HERE. 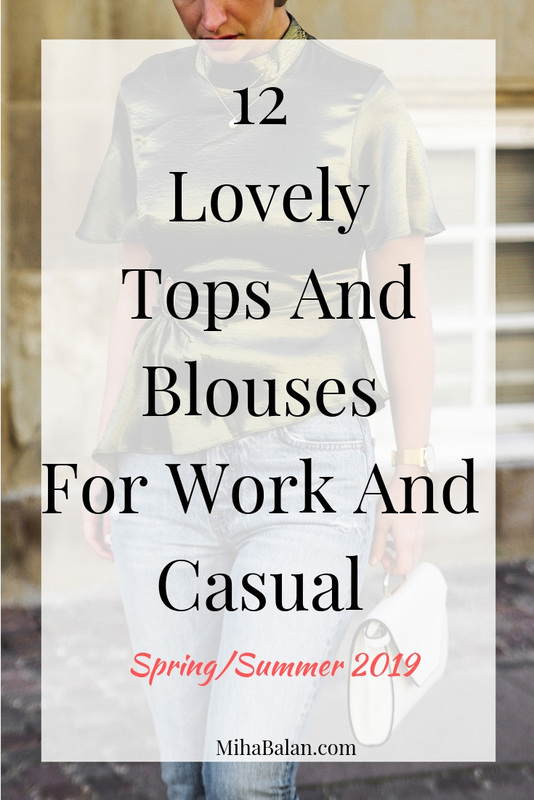 And in the attempt of adding more color to my wardrobe, I thought I would share with you a few other tops and blouses that I’ve spotted and that I hope you might consider adding to your wardrobe as well.